Changbin Township’s Baxian Caves was our source of inspiration, for the creation of an ecosystem, a dynamic relationship among the environment, topography, structural intensities, and human activities. We use the reference of the Baxian Caves to inspire our inhabitant physically and mentally within an organic and nature-type of landscape. The level of complexity seen within the structure aims to create a differentiated type of environment, allowing one to alter his/her thirst for ‘discovery’ every time he chooses to visit. 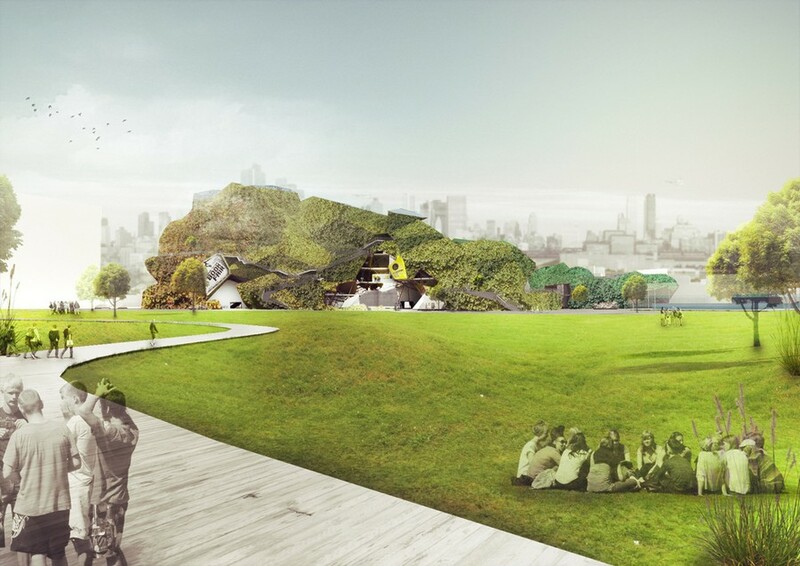 The design seeks to provide at the same time a megalith and monumental appearance for one of the key buildings of Taichung culture, as well as a continuous and gradient spatial experience of the beautiful picturesque landscape of the site. The Cave-like form and its particular space adheres to both aspirations. It is contained and open, confined and continuous, providing the qualities that satisfy both aims and provide a unique and stunning spatial and lighting experiences for the visitor and the employee alike; as if discovering a cave for the first time.